This month we’re celebrating the one-year anniversary of our Platinum Seal of Transparency. Platinum is GuideStar’s highest level of recognition and an opportunity for nonprofits to share their progress in a meaningful way. 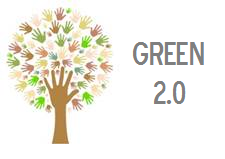 Green 2.0 announced that one year from their initial call for transparent diversity data – and months after the Presidents of the Bullitt, Ford, Hewlett, Kresge, Rockefeller Brothers Fund, and Wilburforce Foundations jointly echoed the need for data sharing by environmental funders – a majority of the 40 biggest funders of environmental work declined to share diversity data on their GuideStar profiles. Green 2.0 reports that many funders outside of the top 40 disclosed their employee and board information. This summer, the six foundation presidents co-signed a letter urging their peers to upload data by August 15. The deadline was extended to September 15, 2015.